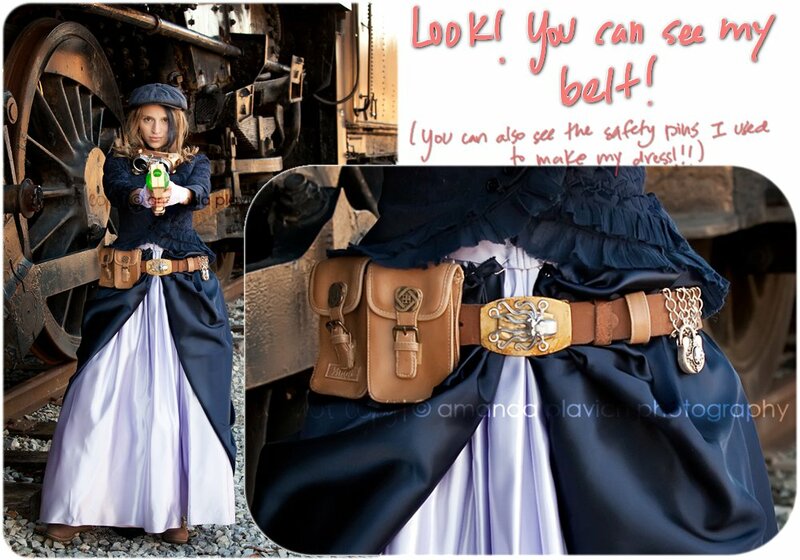 Steampunk utility belt: the place to carry your Tools of Awesome–or to just hang onto some spare change. Whatevs. 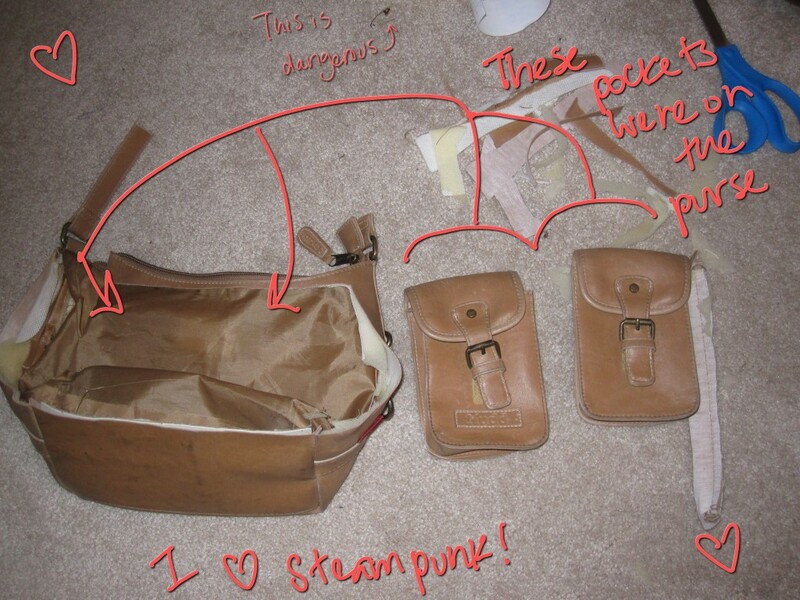 No matter what you choose to store, you’re gonna look STEAMPUNK-TASTIC wearing it. Now this part of the costume is easy. Like so easy I feel guilty devoting an entire post to it…so I made some silly graphics for you. 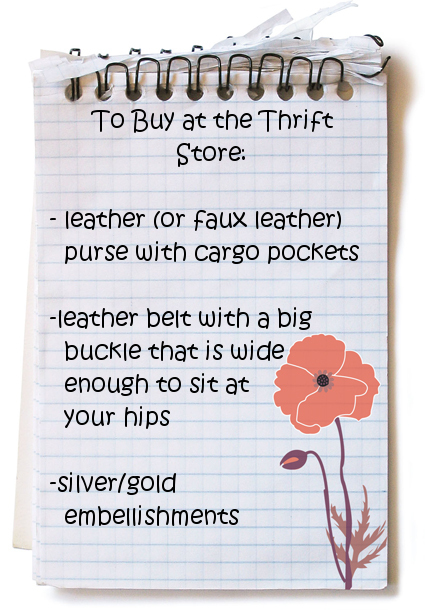 To make your steampunk utility belt, you only need a few things, all of which can be found at your local thrift store. Don’t spend much–seriously! This should be CHEAP (I think I spent a total of $4). 1. You’re gonna start by cutting apart that leather purse. We just want the pockets, so go ahead and shred until you’ve managed to separate the cargo pockets from the rest of the bag. 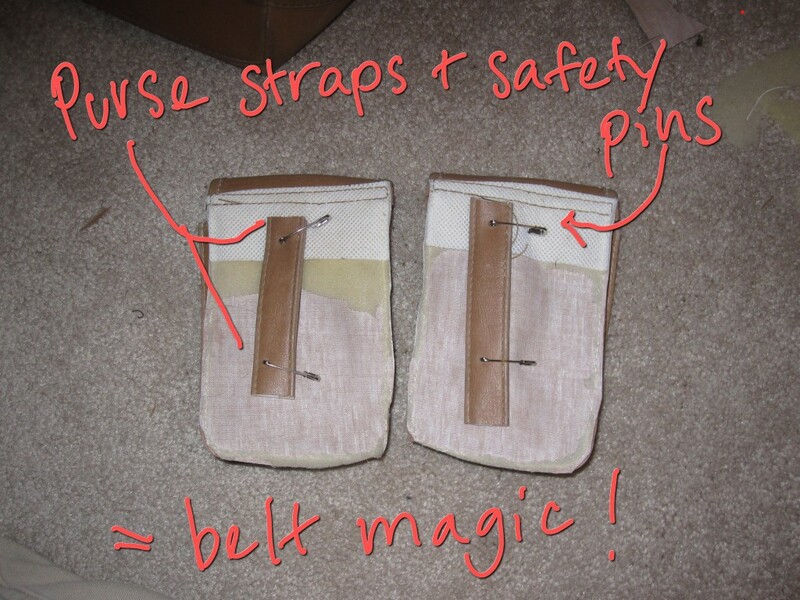 Also, go ahead and snip off 2 pieces from the strap–make sure the pieces are as long as the 2 x width of your belt. 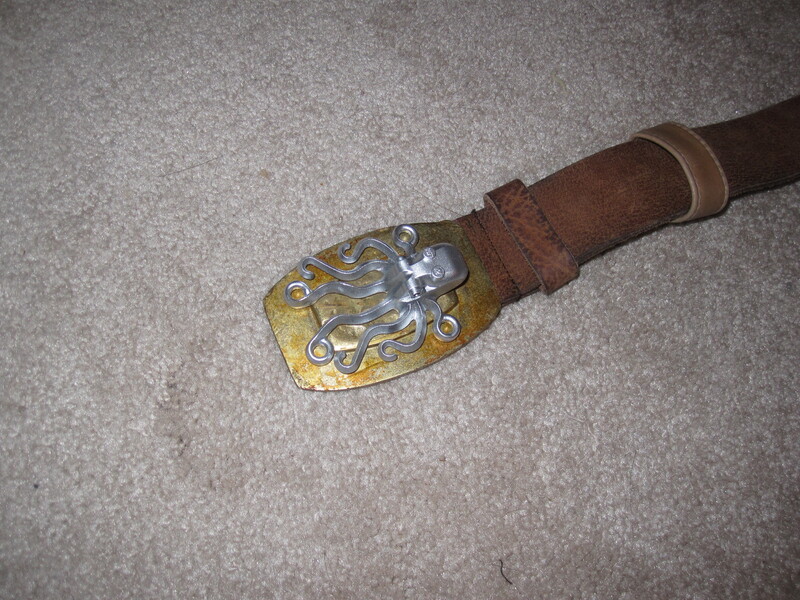 So, fore example, my belt was about 1.5 inches wide, so I cut 3-inch pieces off the purse strap. 3. Now all you have to do is slide the belt through the straps, and TA-DA! You’re almost finished! 4. Now comes the easiest and final step: adding embellishments! Like with my steampunk goggles, I went simple. 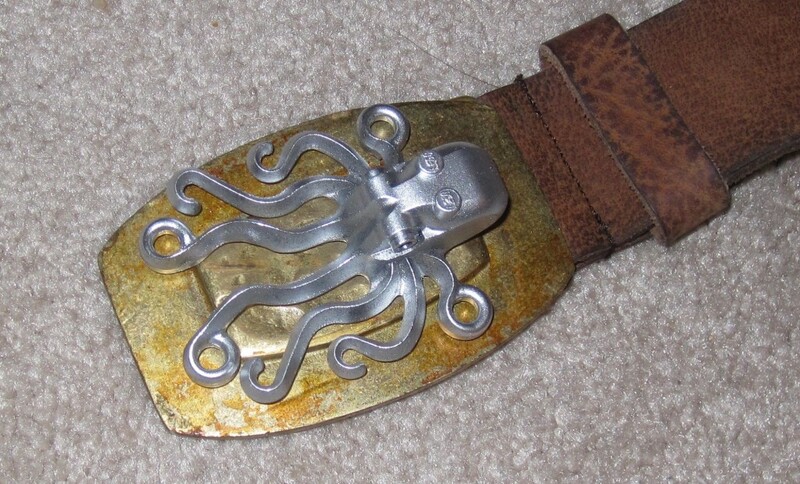 I only added some brass buttons on the cargo pockets (found at the thrift store), a chain locket (found at Wal-mart), and a spray-painted Lego octopus. 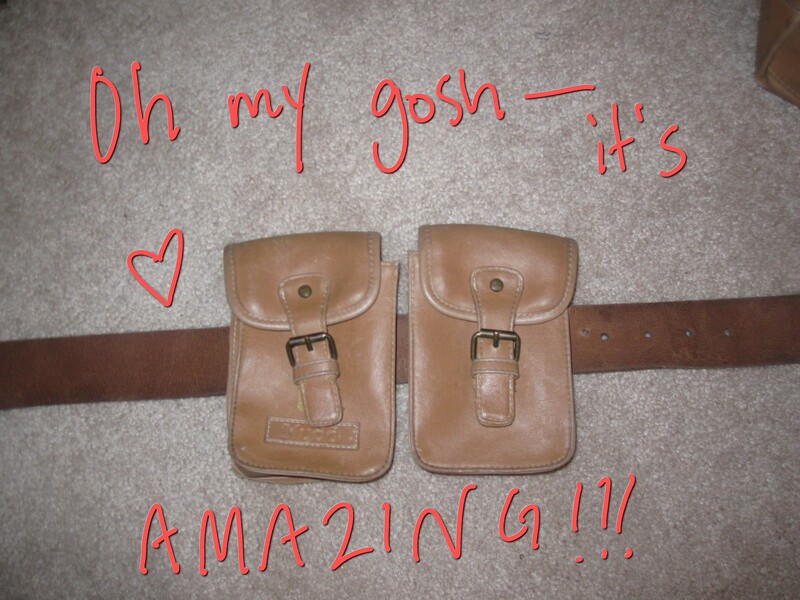 Mission Accomplished: Steampunk Utility Belt Complete! 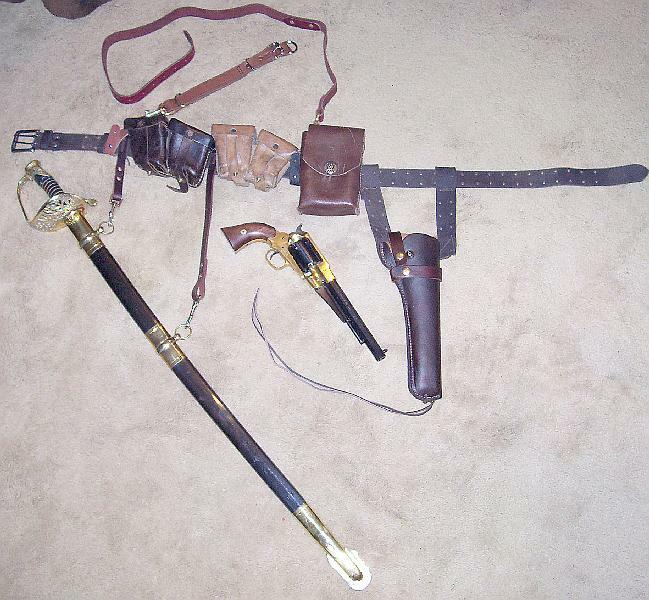 You tell me: Would you ever make a steampunk utility belt? If so, would you add/change anything?